Enhanced diamonds offer the opportunity to own a diamond which is bigger or more beautiful for less money. There is nothing wrong with purchasing enhanced diamonds. Many consumers purchase them willingly. The problem arises when a diamond is enhanced and the jeweler does not disclose the enhancement to the consumer. If you are shopping for a diamond and prefer to own a natural diamond and not an enhanced diamond, then being able to tell whether the diamond you are viewing is natural or enhanced is tremendously beneficial. Know what an enhanced diamond is. An enhanced diamond is not a fake diamond, is not a manmade diamond, or laboratory grown diamond. An enhanced diamond is not cubic zirconia or a piece of glass. If you were to use a diamond tester it would test as a real diamond. That’s because an enhanced diamond is a real diamond. An enhanced diamond is a natural diamond, whose clarity or color, has been enhanced (improved) to make it appear as if it has a higher quality than it actually has. The actual enhancement is done several ways. Color enhancement is done by subjecting the diamond to extreme temperature. The color change is permanent and cannot be detected by the naked eye or by a ten power loupe. Color enhancement usually turns a near colorless diamond to a fancy color diamond, most commonly into a vibrant yellow or blue color, but green or pink can also be achieved. It is even possible to enhance a faint yellow diamond into a near colorless diamond improving the desirability and ‘sellability’ of the stone. It is more common to find diamonds which have had their clarity enhanced, than color enhanced, because the process to enhanced clarity is less expensive and much quicker to achieve. Clarity enhancement is achieved in several ways. Clarity can be enhanced by a laser. A diamond may have a dark inclusion. A laser is used to drill a microscopic tunnel into the diamond to reach the inclusion, then the diamond is soaked in acid to clear out the dark matter from the diamond. 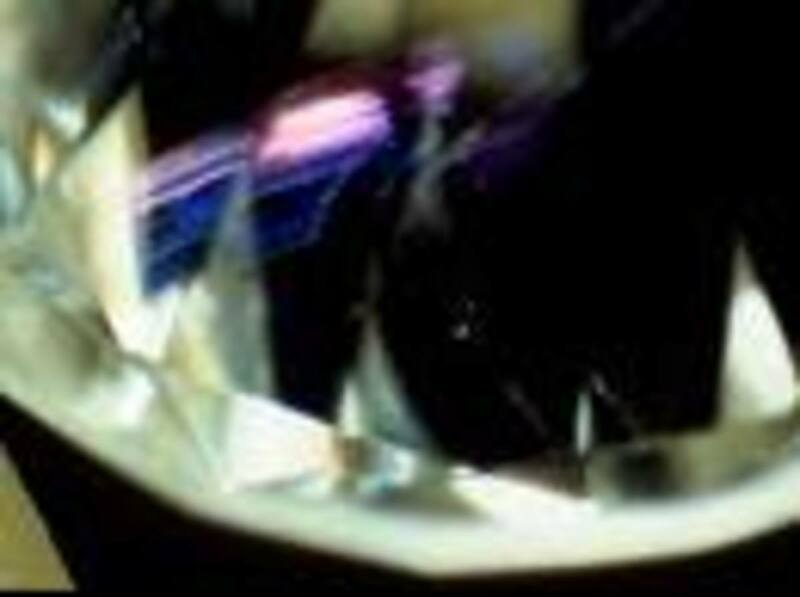 What remains is a white inclusion which facets may hide when the lights hit it making the diamond more attractive than when it had black inclusions. The laser treatment is permanent and cannot be reversed. There is also the Yehuda treatment. It takes a diamond which has a feather (a microscopic separation in the diamond where the crystals did not mate during the crystallization process) which extends to the surface of the diamond. A substance with the same optical properties as the diamond is injected into the feather. When the substance dries it fools the light into passing through the feather (instead of dispersing) as if the feather weren’t there, making the feather invisible to the naked eye. This type of clarity enhancement can improve the clarity up to two grades. Suddenly an I1 diamond looks like an SI1 diamond. The Yehuda treatment is semi-permanent. The only thing that can remove it is a jeweler’s flame reaching 1500 degrees or higher, but it is impervious to chlorine, cleaning liquids or daily wear and it’s guaranteed for life. If for any reason the treatment fails Yehuda will re-treat the diamond for free. Know how much and enhanced diamond cost. Enhanced diamonds can cost about 30 to 40% less than diamonds which have the same clarity or color but are natural. 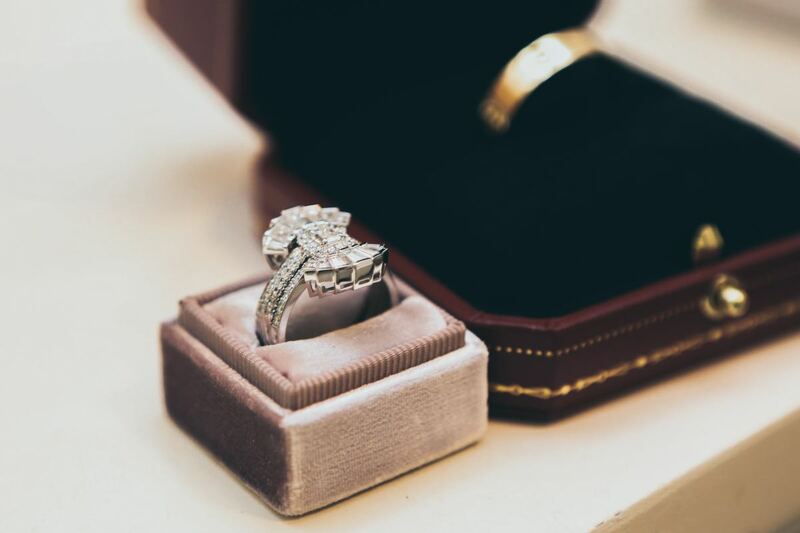 If you are being offered a diamond for about 30 to 40% less than other jewelers are offering for the same quality, it may be advisable to see if you are being shown an enhanced diamond and the jeweler is not disclosing the fact that the diamond is enhanced. Know how to use a jeweler’s loupe. It is imperative to be able to use a jeweler’s loupe effectively in order to determine if a diamond is enhanced or not. To use a loupe effectively, hold it between your thumb and forefinger. Hold the back of the thumb against your cheek placing the loupe in front of one eye. Keep both eyes open. Bring the object (diamond) close to the loupe until it falls into focus. Most inexperienced loupe users place the item too far away from the loupe or move the loupe away from the eye and closer to the item, as if it were a magnifying glass. The loupe is an eye instrument. Holding it close to the eye and bringing the item close to the loupe until it falls into focus is the most effective way to view any microscopic characteristics of the diamond and the telltale signs that that diamond has been enhanced. Know what enhanced characteristics look like. To recognize a color enhanced diamond you have to use a 30 power gem scope or microscope. During the enhancement process microscopic bubbles develop inside the diamond. These telltale bubbles are so microscopic that even under a 30 power microscope it is difficult for an experienced grader to determine if the diamond has been color enhanced or not. 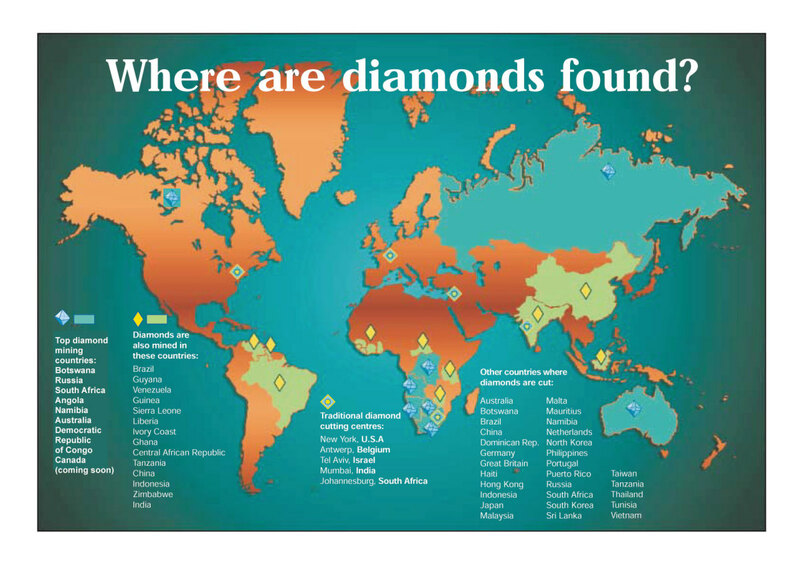 Without a 30 power microscope it is impossible to determine weather a diamond has been color enhanced or not. Clarity enhanced diamonds are easier to recognize. Laser enhanced or laser treated diamonds have the telltale laser drill line remaining. A laser drill line looks like just what it sounds a thin white line, usually best viewed from the pavilion (the bottom) of the diamond. This line can not be removed and is easily found under a ten power loupe, it cannot be confused with any of the angles of the diamond. It is unnaturally straight and it traverses the interior of the diamond. Yehuda treated diamond have a very different telltale. It is called the flash effect. The flash effect is a flash of usually vivid purple light coming from inside the diamond. This flash of light most not be confused with the usual flashes of light coming from the crown facets. It almost looks like a wall of purple inside the diamond at the location of the enhancement. To view it you must look at the diamond with the loupe and as you viewing the diamond turn it slightly from side to side. 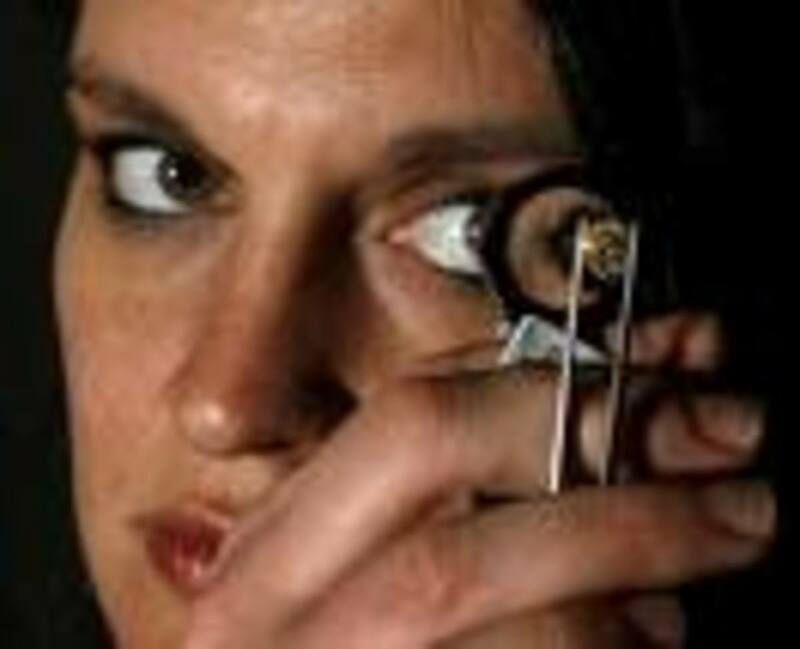 Holding both eyes open when using the loupe will allow you to see into the diamond and see the telltale flash. Closing one eye will limit your depth perception. A sample of the flash effect is featured on the side photo. Do not take it for granted that just because the jeweler is offering a diamond certificate detailing the characteristics of the diamond you are safely viewing a non enhanced diamond. The certificate may not belong to the diamond being viewed. Sometimes diamond are sent to diamond engravers to engrave the certificate number on the girdle. The certificate doesn’t have to be included with the diamond when being engraved. 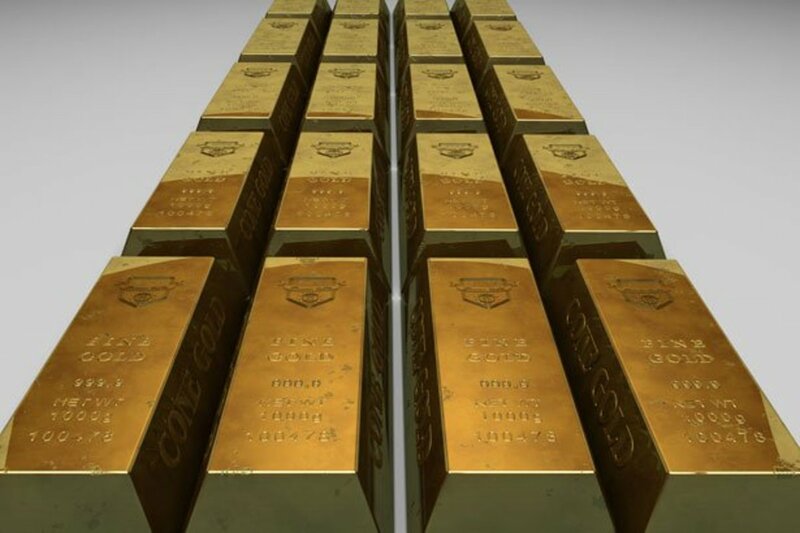 A dishonest jeweler may match any certificate with any diamond. I wonder if other drill and fill treatments are not as permanent as the Yehuda? It's a big problem with "natural" rubies that have been treated so much that they may be less than 50% ruby and look like junk in a year just from normal daily wear. I love your "flash" picture. Wish I'd know about this when I wrote my book (shameless plug) "Enhanced, Plated, Irradiated and Lab Created: What Jewelry Vendors Don't Want You to Know. I'm just a consumer with lots of experience shopping and educating myself.